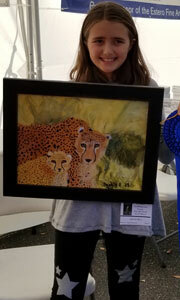 As part of our commitment to bring art education into southwest Florida, a youth art competition for grades K-8 or ages 5-13 is integrated into all of Hot Works events. 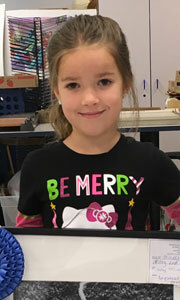 Sponsored by the Institute for the Arts & Education, Inc., a 501c3 non-profit organization, young artists in grades K-8 or ages 5-13 are invited to apply with their original and personally handmade art. All entries are publicly displayed at the art fair the entire weekend of the event. The competition gives budding artists a golden opportunity to begin learning the rules of being part of a professional art show and exhibition. It exposes young artists to the opportunity of creating his/her art for a living –doing something he/she loves to do, and, most importantly, how to do it. 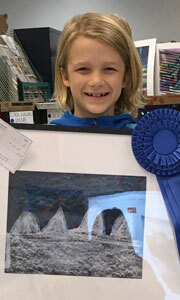 The art show provides these students with an unmatched learning experience and exposes families to the artwork. Young artists are encouraged to speak with the artists in the show – all professionals — and to ask them questions about participating in art shows as a self-employment career. 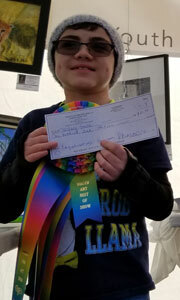 To date, more than 800 students have entered into our Youth Art Competition programs!